After being cheered by crowds in Asmara, Eritrea's capital, and holding private meetings, the two leaders attended a dinner and announced new measures. 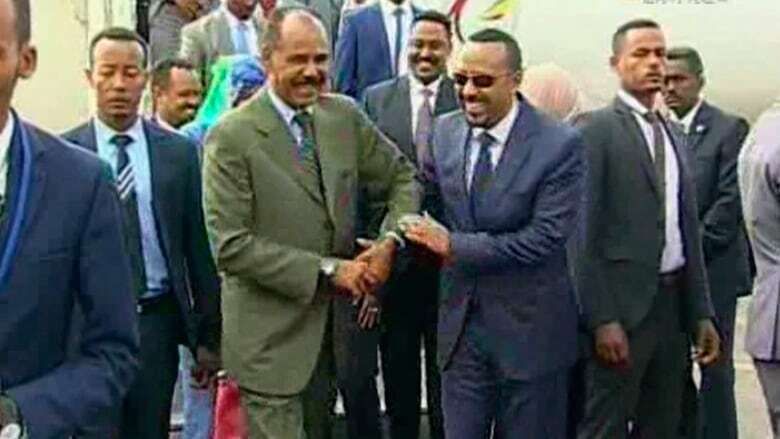 "We have agreed to open up embassies in our respective countries, allow our people to visit each other's cities and allow our airlines and ports to operate freely," said Abiy, in comments covered by Eritrean state television. Abiy said the two leaders have "agreed to bring down the wall between us. Now there is no border between Ethiopia and Eritrea. That border line has gone today with the display of a true love … love is greater than modern weapons like tanks and missiles. Love can win hearts, and we have seen a great deal of it today here in Asmara. From this time on, war is not an option for the people of Eritrea and Ethiopia. What we need now is love." "The Eritrean people have today got the chance to express their true love and emotion for Ethiopians," said Afwerki. "We can imagine that the decisions the prime minister of Ethiopia took was not a simple one. But we can assure you we will face the future together. We will work as one." Earlier in the day, crowds danced and sang for the leaders, and Asmara's streets were hung with Ethiopian and Eritrean flags. 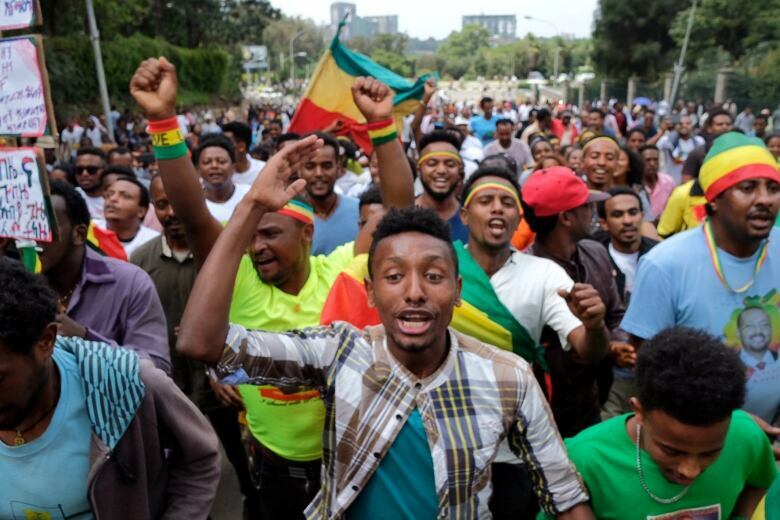 Abiy, 42, and Afwerki, 72, travelled across the capital in a large motorcade as people wearing T-shirts with the images of the leaders cheered. The leaders then met one-on-one, with a smiling Abiy leaning toward Afwerki under a wall hung with their portraits. Also Sunday, telephone connections were established between the neighbouring countries. 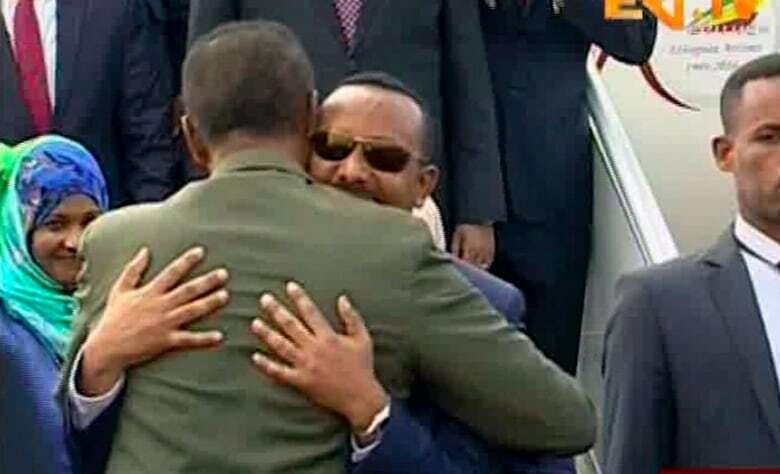 The visit of Ethiopia's prime minister to Asmara comes a month after Abiy surprised people by fully accepting a peace deal that ended a 20-year border war between the two East African nations that killed tens of thousands. Ethiopia and Eritrea have not had diplomatic ties since the war began in 1998, with Abiy himself fighting in a town that remains contested today, and the countries have skirmished since then. "Historic … the beginning of the end. The glass ceiling has been broken," one resident, Shewit Wudassie, wrote on Facebook. Another Facebook user, Djphat Su, wrote: "Am I dreaming or what?" The decision to fully accept the peace deal was the biggest and most surprising reform yet announced by Ethiopia's prime minister, who took office in April and quickly set off a wave of reforms, freeing journalists and opposition figures from prison, opening up the state-run economy and unblocking hundreds of websites after years of anti-government protests demanding more freedoms. "Reconciliation would deprive President Isaias of an excuse for maintaining his country in a permanent state of military readiness" that has blocked Eritrea from developing any form of democracy, said Martin Plaut, author of Understanding Eritrea, and a senior research fellow with the Institute of Commonwealth Studies at the University of London. Abiy's move broke a long stalemate between Afwerki and the long-dominant Tigrayan party in Ethiopia's ruling coalition. 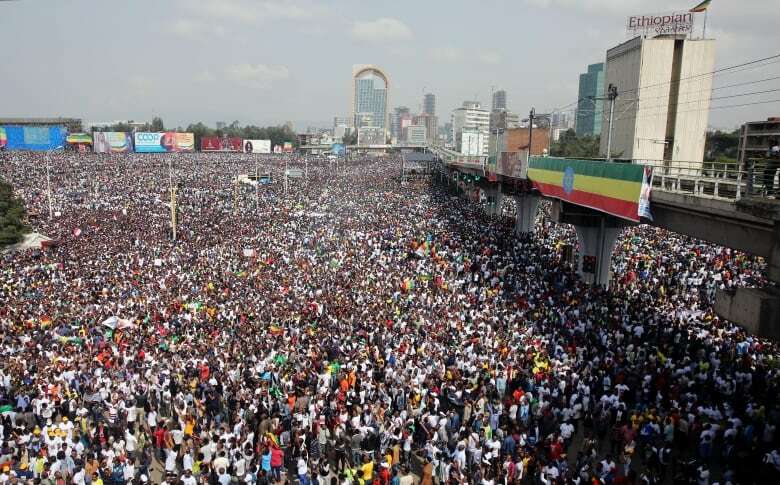 "Abiy represents the majority of Ethiopians rather than the Tigrayan ethnic group" and is not beholden to it, Plaut said, adding that Afwerki accepted the peace gesture "since it allowed him to portray it as a triumph over his Tigrayan rivals." Not everyone has welcomed Ethiopia's embrace of the peace deal, with some residents in the northern Tigray region bordering Eritrea holding protests.